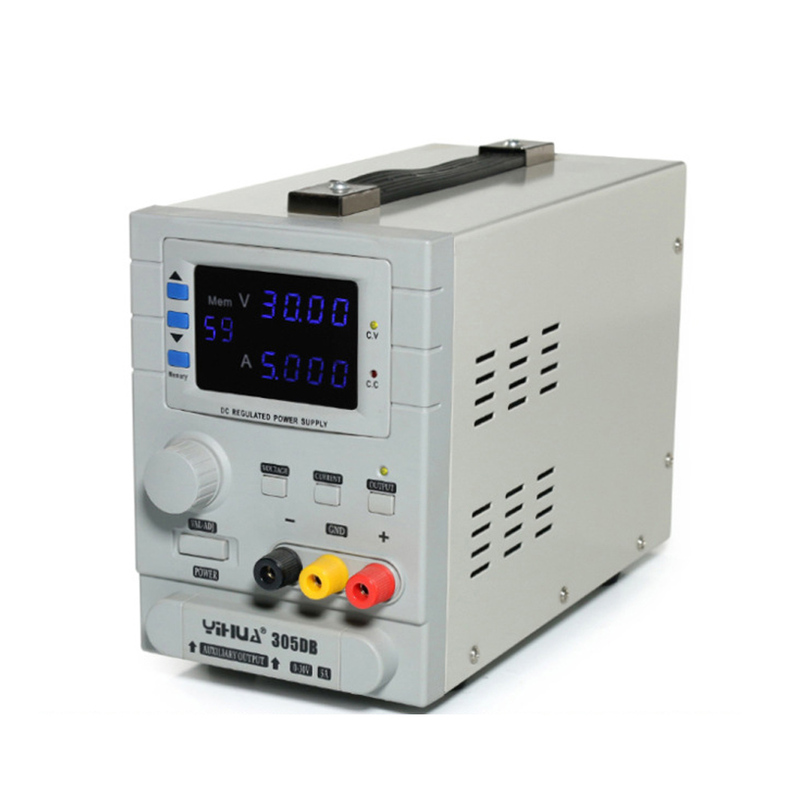 1.have 4 digital display show the voltage and current value,it shows value very very precision . 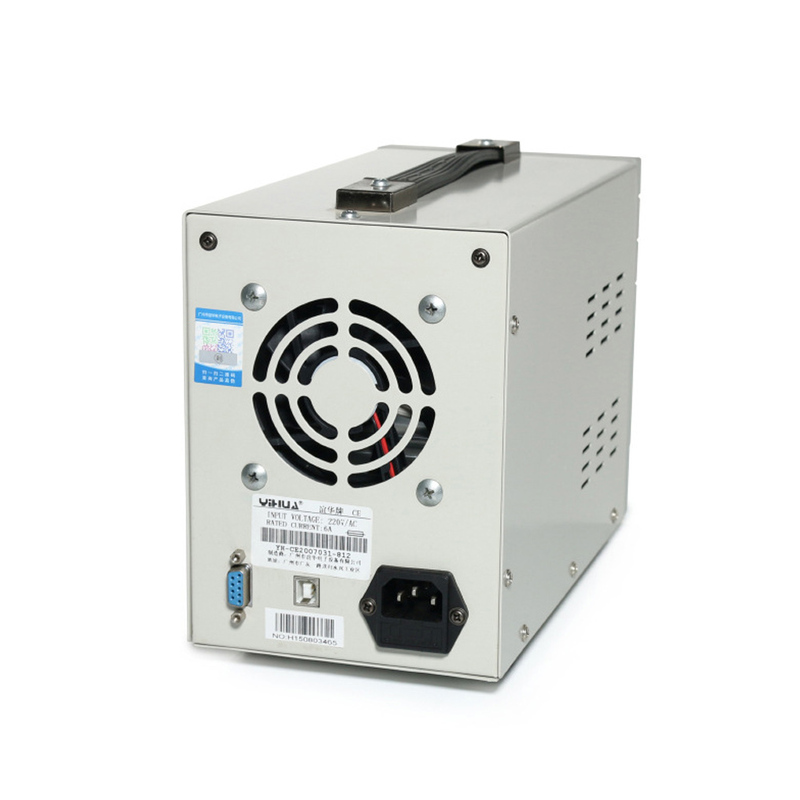 2.it can adjustable the current protection ,audio-visual,it operation convenience . over the machine current,it means can not over 5A,please note. 4.the machine arts and crafts is SMT ,all use the latest technique . 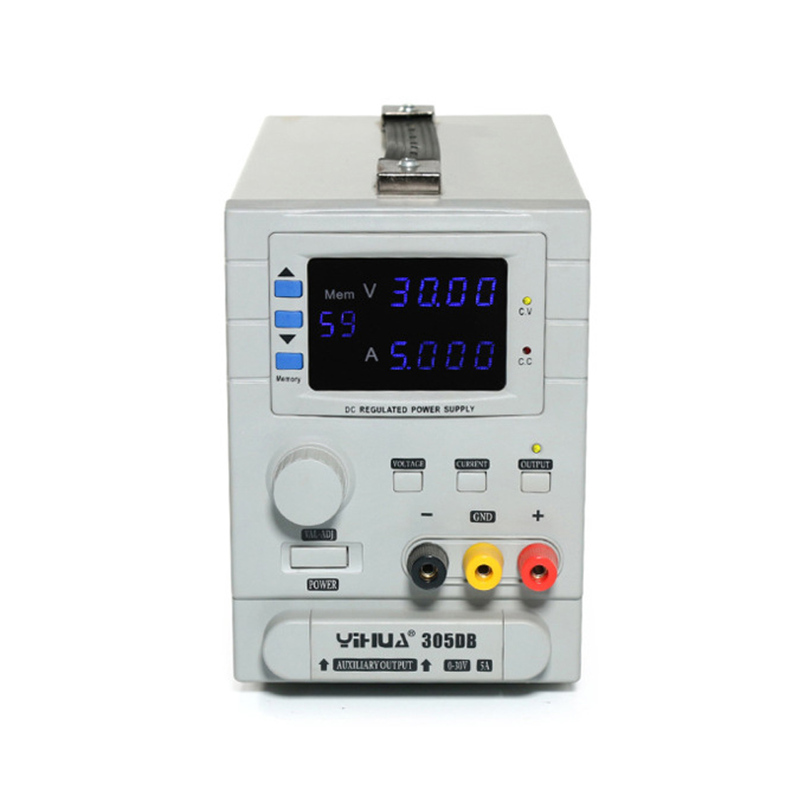 5.you can turn off the output ,set the protection current and voltage,this way can protection you test device. 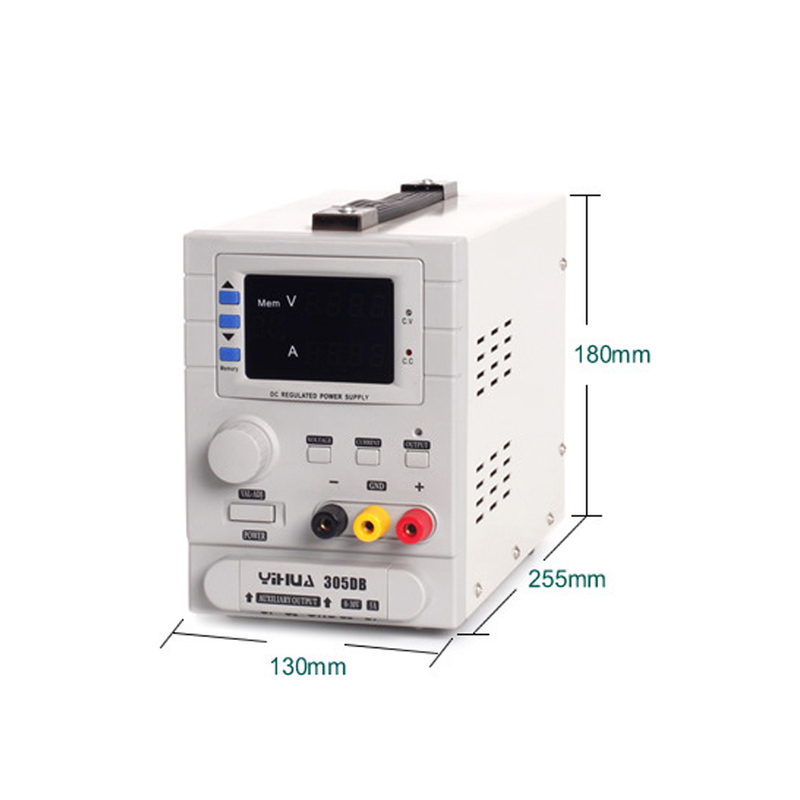 1.it store up 60 groups current and voltage value,you can set you want to use value,very very convenience. 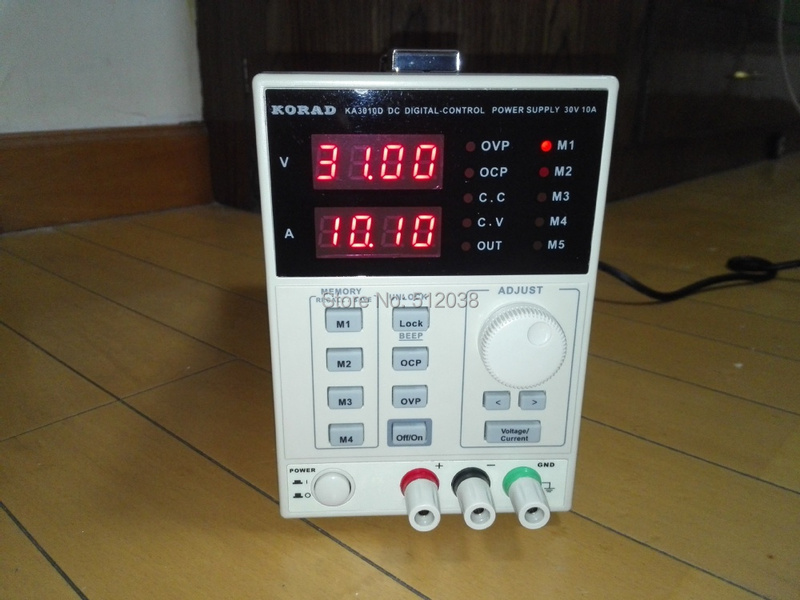 2.the device can use software through the computer control the machine,you can use computer set all current and voltage value. 3.it through computer long-distance control the device,but also have Programming function ,if you need use it. 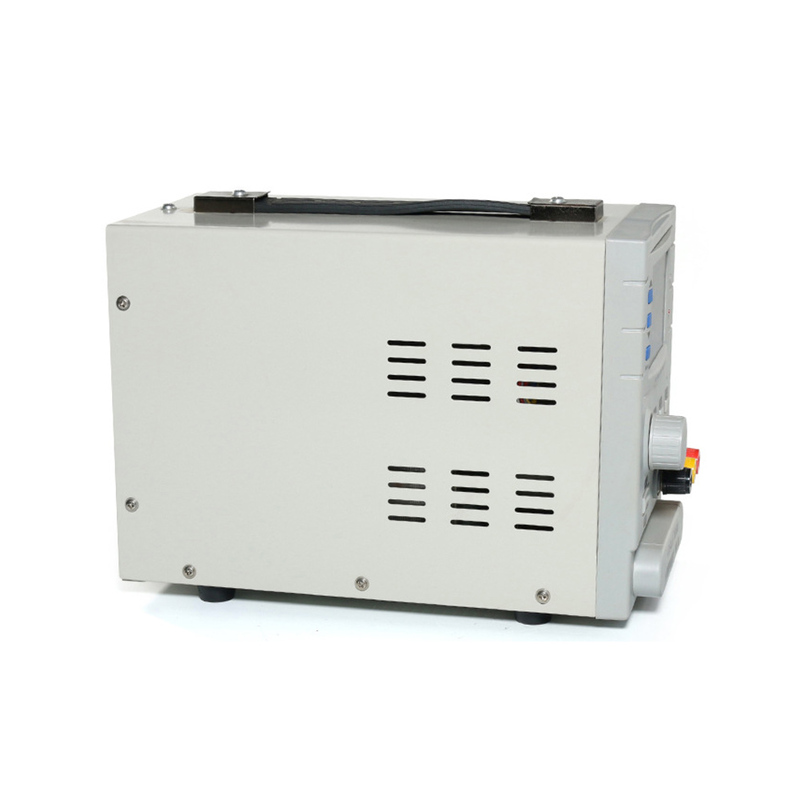 4.YIHUA305DB the current can though the knob adjustable current protection ,more audio-visual,it operation more convenience . Protection types circuit protection,overload and over high temperature protection.